Please scroll-down to the bottom of this page for specific retailers & locations. Many Kroger Stores now carry Mint Snuff Pouches in Mint, and Mint Snuff Chew in Mint. We are an “optional-item” at Krogers. That means if a customer requests Mint Snuff Pouches or Chew, any Kroger Store has the option of stocking it! For a Kroger near you, click here!. 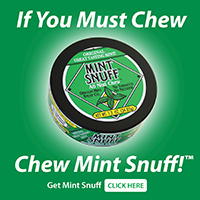 Some Costco’s will carry Mint Snuff Pouches and Mint Snuff Chew if customers request it. Walmart doesn’t yet carry Mint Snuff, we’d like them to. Please feel free to ask WalMart to carry Mint Snuff Chew and Pouches! For exact store locations, find your city in the state list below. The stores listed are supposed to have Mint Chew or Pouches in stock. If they don’t, please call our customer service department at 1.800.EAT.MINT * 1.800.328.6468 and we’ll solve the situation and make you happy! Or e-mail kim@mintsnuff.com. Our customer service and satisfaction is unsurpassed! Try us…you’ll see! We appreciate and want your business. Please tell your friends about Mint Snuff Chew and Pouches. At Mint Snuff, Every Customer Counts! Please ask your favorite local store to stock Mint Snuff. They can check with their tobacco distributor or call us factory direct. Thanks! Or, you are always welcome to order factory direct. 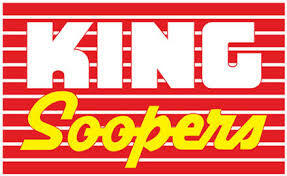 Please ask your local King Sooper, Safeway and City Markets to stock Mint Chew and/or Mint Pouches if you don’t find it there…Thanks! Please ask your local Meijer Super Centers and/or Meijer Gas to stock Mint Chew and/or Mint Pouches if you don’t find them there…Thanks! Please ask your local Dillons to stock Mint Chew and/or Mint Pouches if you don’t find them there…Thanks! Please ask your local Fred Meyer to stock Mint Chew and/or Mint Pouches if you don’t find it there…Thanks! Mint Snuff is available in Canada by Mail Order only.